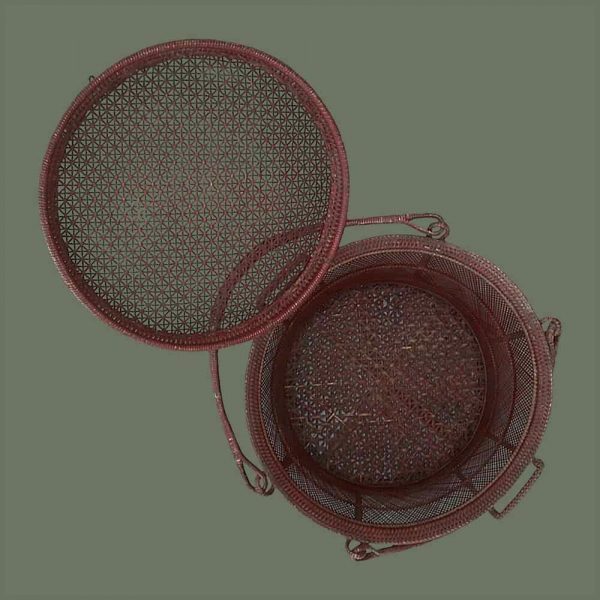 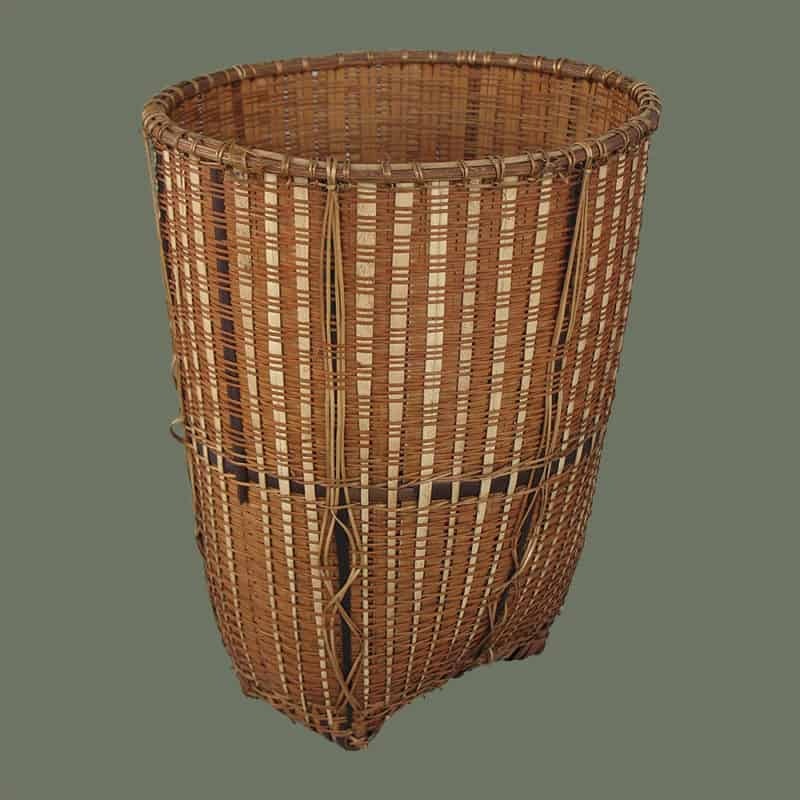 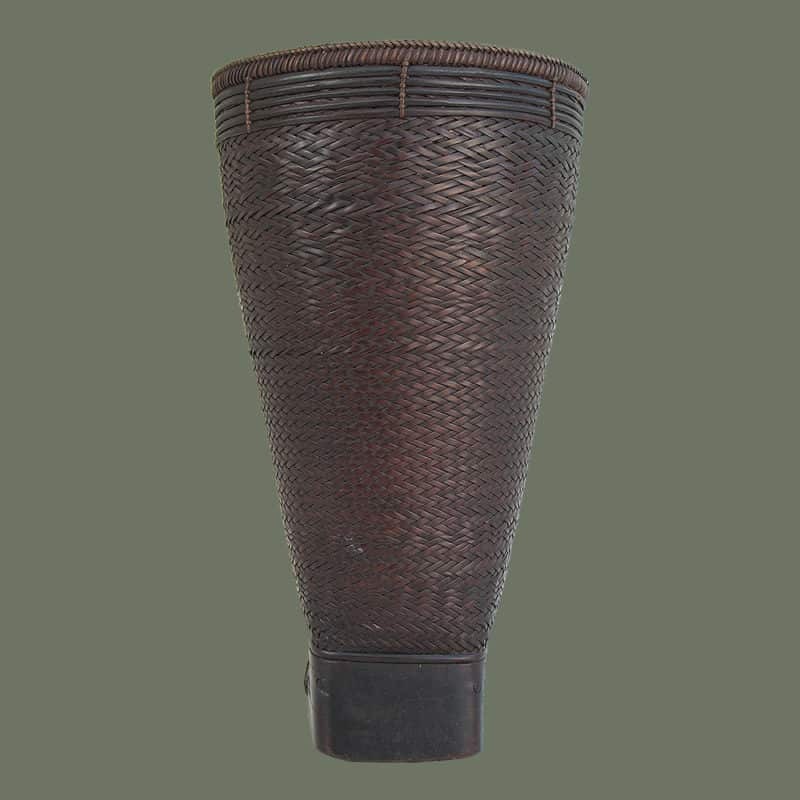 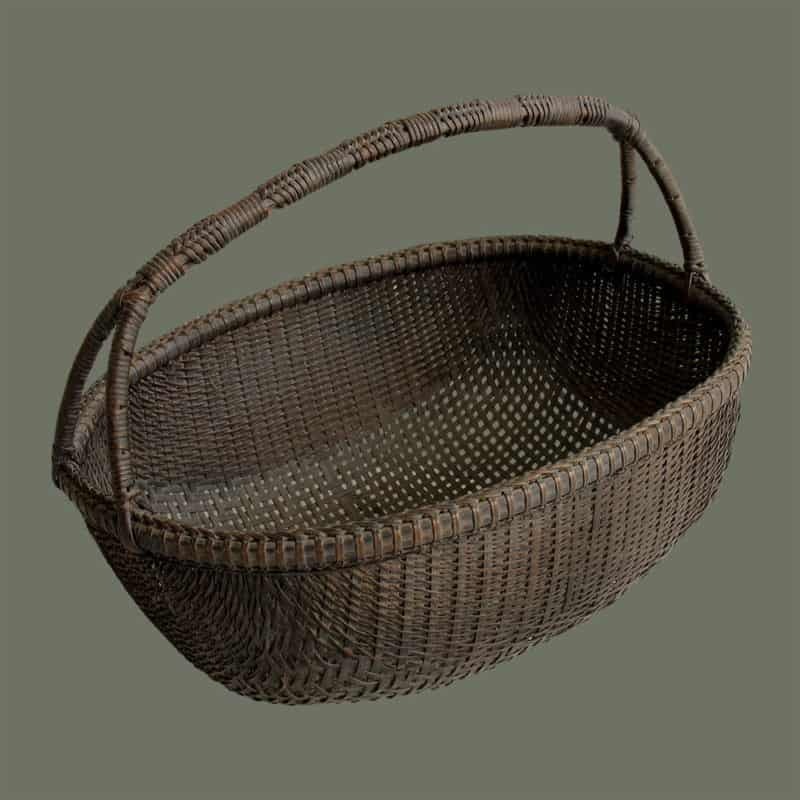 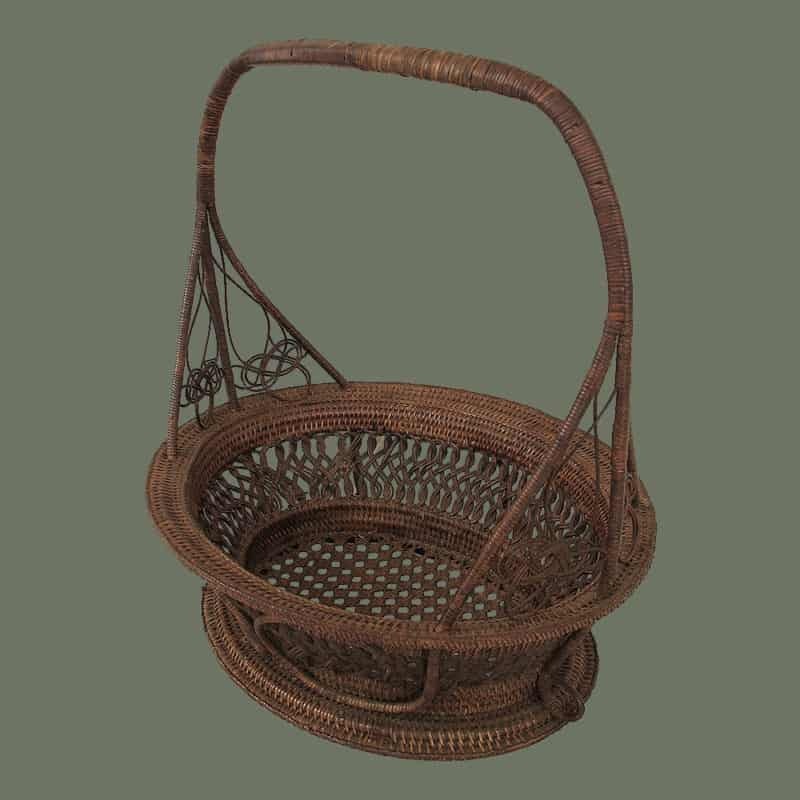 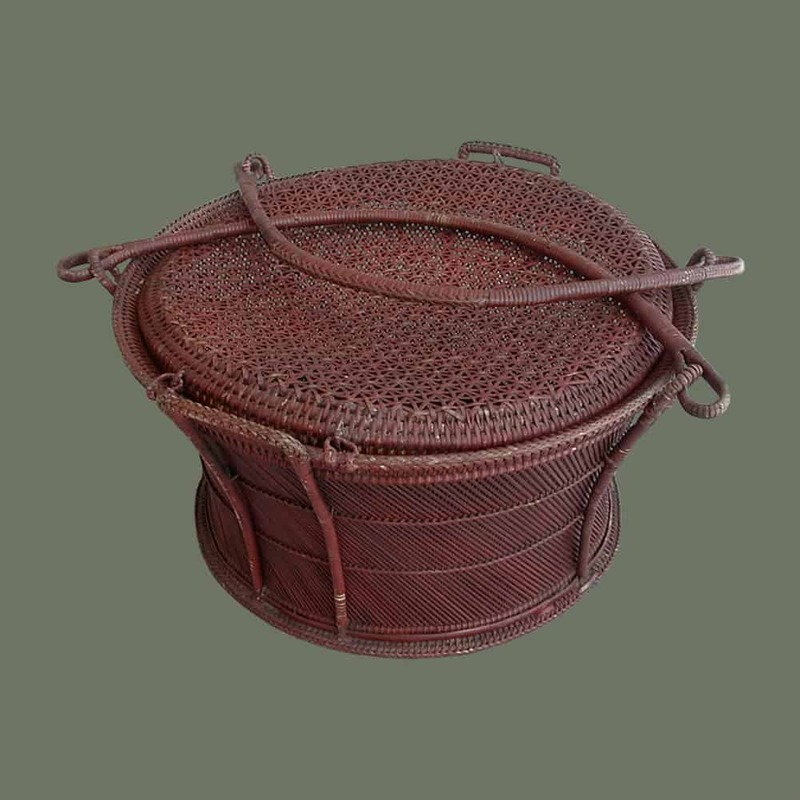 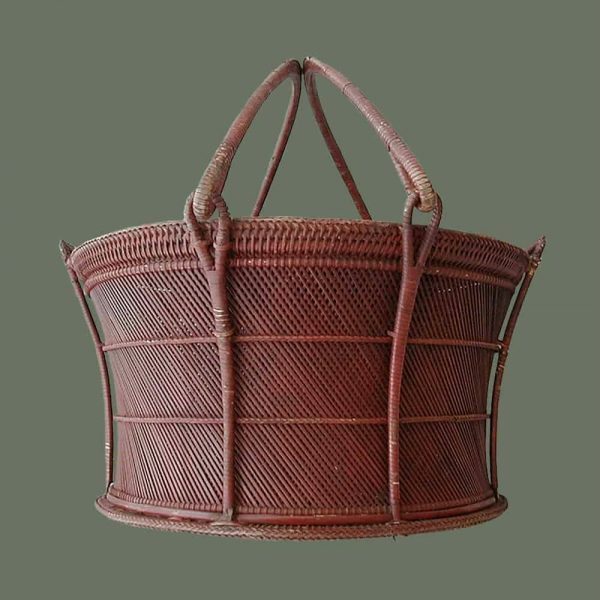 This large, old, handsome rattan basket is from Burma and was used for many purposes. 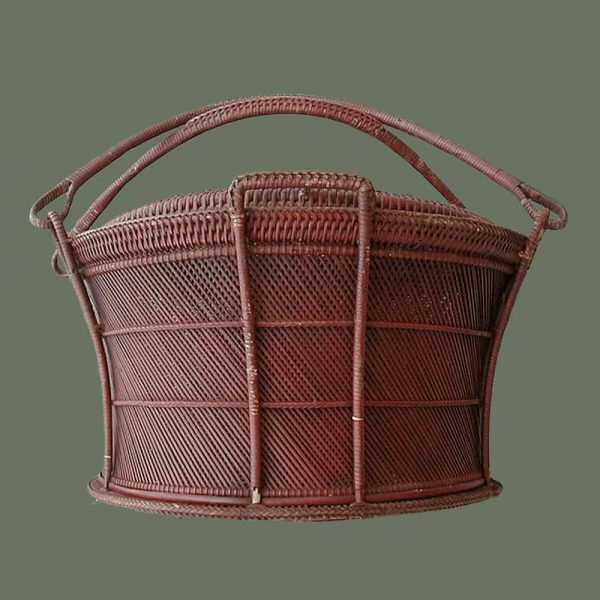 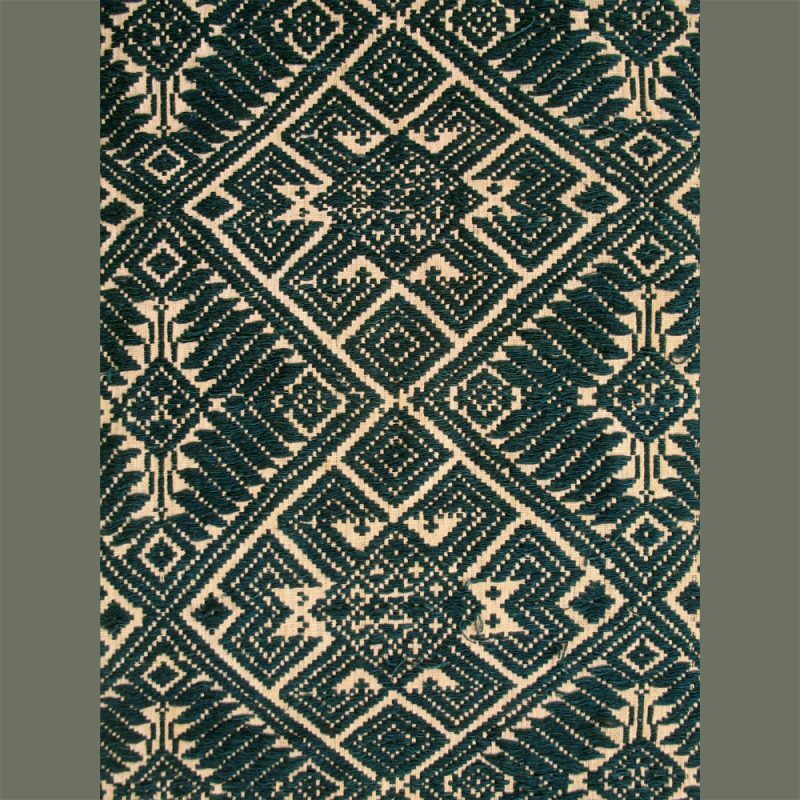 It is beautifully woven with several different techniques, and in quite good condition with an intact lid and handles. 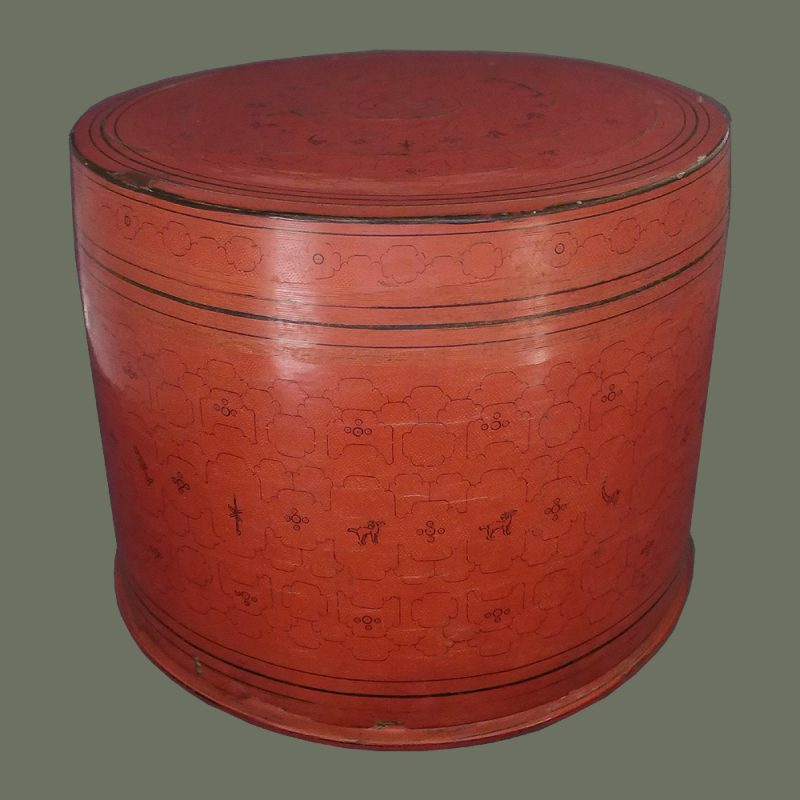 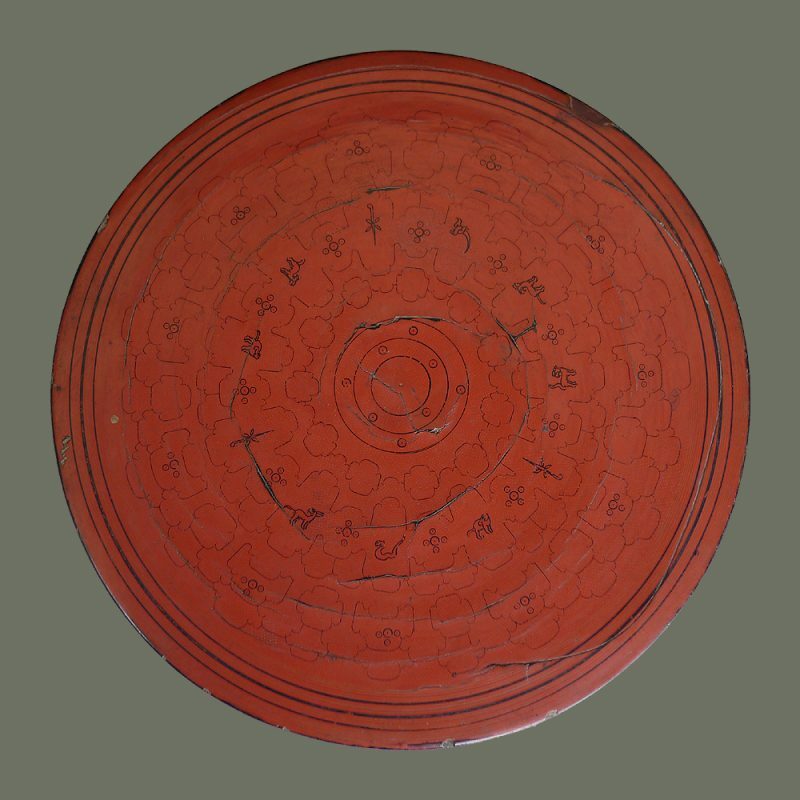 The red color is the same as on Burmese lacquerware, possibly from cinnabar pigment.